Andrés Salguero has released his first video from his upcoming album, ¡Uno, Dos, Tres con Andrés! “If I Had a Mariachi” was filmed at La Plaza Garibaldi (Mexico City’s traditional home of mariachi) and other Mexico City locations which gives it a nice authentic feel. Anyone who has been serenaded by a Mariachi band should know how much energy goes into one performance, whether it’s tableside at an amazing restaurant or out in a plaza. 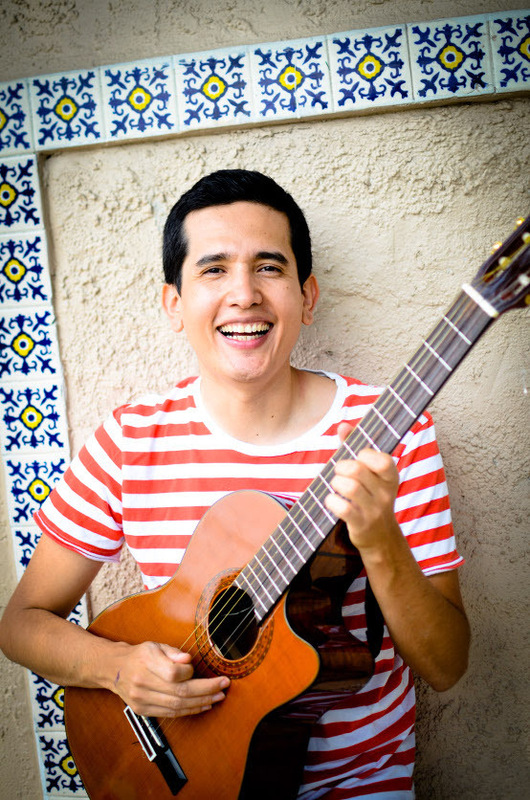 The video for “If I Had a Mariachi” definitely exemplifies the spirit of Salguero’s music while introducing kids to an important piece of Mexican culture. In truth, I was sold simply based on the title of the song. Now, after watching the video, I want a mariachi! I love the introduction of the instruments, included with the spanish spelling of the words across the screen, and the kids’ faces as they are wowed by the beautiful display of mariachi instruments. Bonus: You can sample the entire album from at Salguero’s official site! Happy Valentine’s Day! And like any other holiday, or really any day, your ears deserve musical treats. So, below you will find a Spotify playlist containing some tracks we are spinning. Since not all of the songs are on Spotify, you can find additional tracks below the playlist in the form of videos, links, and FREE DOWNLOADS! There’s a whole lotta love here so get ready to turn it up! Dean Jones, check. Trombone, check. Adorable furry friend, check! I’m sold! Bonus: The good people of Dog On Fleas would like to share their love with fans of all ages by offering a flea, er, free download. If you download this track in February, and send Dog On Fleas a message with your email address, they will send you a bonus track!! 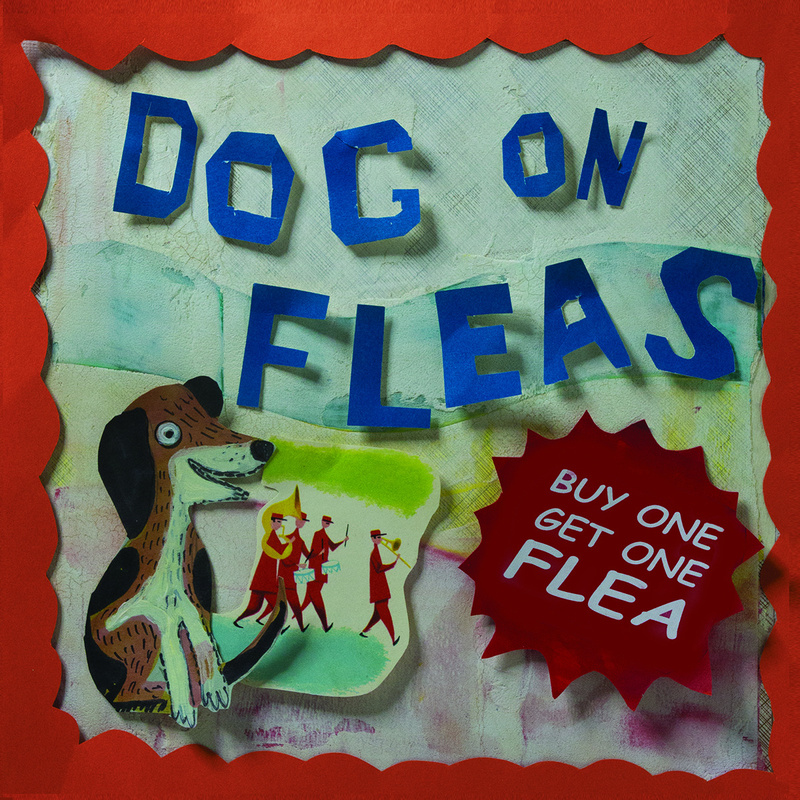 As in… buy one, get one flea. Or you can go to their Facebook page and message them (and like them while you are there). I love the disco break in the middle of this song. The beats are good, Laura’s voice is gorgeous and the photos breathe love. Alex Mitnick of Alex & The Kaleidescope Band has been a dad for almost a year now. In awe of his son, Miles, Alex was inspired to write the song “Feelin’ Fine” to celebrate Miles’ first Valentine’s Day. It’s also a sneak peek into Alex’s upcoming album entitled Love Songs For My Baby. As a special gift for Valentine’s Day, Alex is also offering a free download of this song. A bi-lingual valentine’s song with bold color, fun puppets and a beautiful translation. 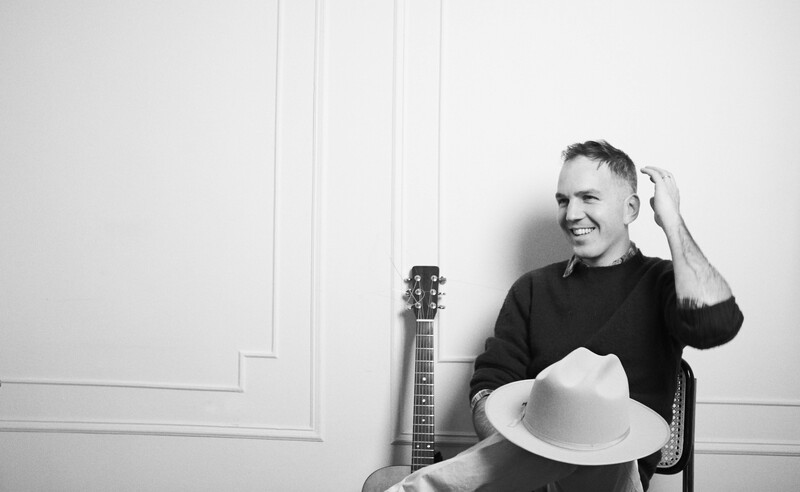 Just in time for Valentine’s Day comes a sweet song from Walter Martin of the indie rock band, The Walkmen. “Sing to Me,” is a track from Martin’s upcoming debut album, We’re All Young Together, which is set to release on May 13 (via Family Jukebox). The album features guest appearances by Karen O and Nick Zinner of The Yeah Yeah Yeahs, Matt Berninger of the National, Alec Ounsworth of Clap Your Hands Say Yeah, Kat Edmonson, The Walkmen’s Hamilton Leithauser and Matt Barrick, and more. I love this song. It’s almost unfair how much I love this song. I have always been a fan of The Walkmen and The Yeah Yeah Yeahs so the pairing of Martin and Karen O on this track is a real treat. Martin’s deep baritone perfectly complements the ethereal beauty of Karen O’s. The words are romantic and whimsical in a fabulous way. This one will make your heart smile for sure! Really, the hardest part of listening to this song is deciding when to stop replaying it. I particularly love the lyrics: “I’d like to breach the castle walls of you & sing a concert in a hall of you” which feel so profound hidden among the other terms of endearment and graceful yodeling. I began to imagine a record I really wanted to hear: something new and original that captured the essence of early rock ‘n’ roll – innocent but mischievous, romantic but funny, and unabashedly sweet. It wasn’t that I wanted to write songs to suit my new situation as a parent, it was more that parenthood made relevant writing the kind of songs I’ve always loved most. Below is a lyric illustration for “Sing to Me” by illustrator Marcellus Hall, who designed the album’s artwork. Description: A magical exploration that celebrates the intricacies of a child’s imagination delivered with musical mastery. While I am tidying up my review of this album, along with some other goodies from Rainbow Beast, there is absolutely no reason to delay the presentation of this awe-inducing piece of work. Tales From The Monstrosity Scrolls is filled with powerful rock songs made up of original stories written by kids between the ages of 4-8 years old. 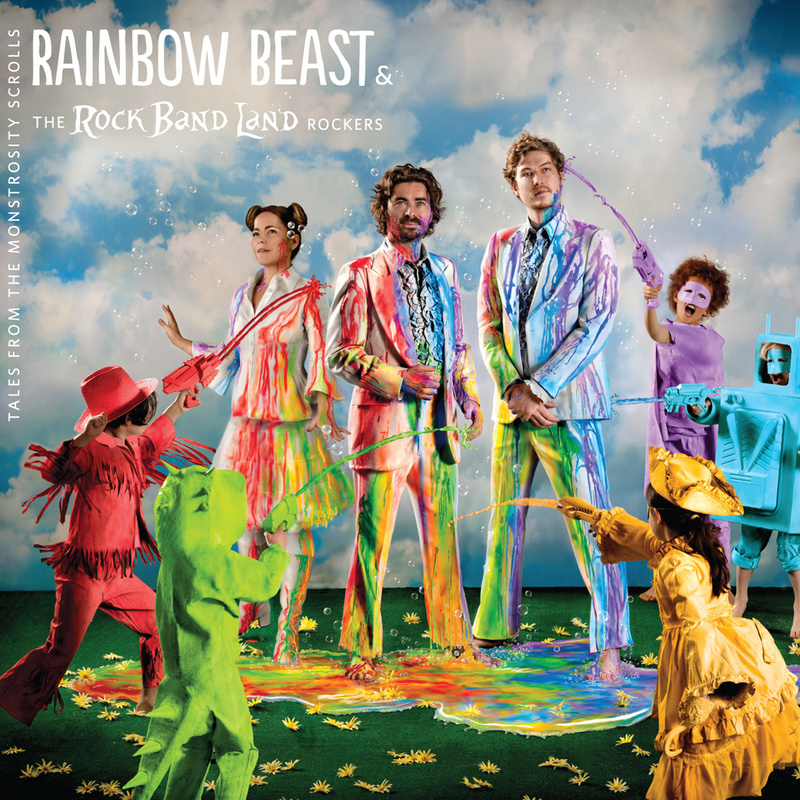 The kids, referred to as The Rock Band Land Rockers, are members of a collaborative creativity program in San Francisco that is run by Rainbow Beast members Brian Gorman and Marcus Stoesz. The songs may seem dark, certainly darker than standard children’s music today, but I would encourage you to listen to them in their entirety because of the deeply profound messages they contain. Sure, there are superheroes, dragons and fluffy clouds, but they are presented in an atypical way that turns sticky sweet sing-alongs on their head. And, if you’ve spent any time around an imaginative 1st grader, you know the whacky paths their creativity can lead them! By providing a safe, supportive environment Gorman and Stoesz have found a way to honor the intellect and potential of these young kids by allowing them to seek out their polka-dot skeleton and ice girl fantasies within the relative safety of a rock-n-roll education. I am excited to bring you a guest post today by CJ Pizarro, aka Mista Cookie Jar. In the following post, MCJ interviews the classy cool Kindie group, The Zing Zangs. These highly ambitious teens have accomplished quite a lot in their young careers. Their positive energy shines in the following interview, which has no doubt contributed to their creative success thus far. One can’t help but wonder what’s to come. The Zing Zangs — look out for this duo! These 13-year-old Canadian fellas, Trevor and Elliot, have an unstoppable amount of energy and creativity to share with the Kindie world. I interview Trevor here, who not only is the main songwriter, frontman, and Zing Zang visionary but is also a multi-instrumentalist, producer, video director, kids music internet DJ, and an all around nice kid matured WAY beyond his years. I am proud to consider him a peer even if I am 20 years his senior. Their debut album, Blast Off!, is a 13 track banger featuring Secret Agent 23 Skidoo, Todd McHatton, Dirty Sock Funtime Band, Sugar Free Allstars, Rocknoceros, Tim Kubart of Tim and the Space Cadets, Miss Gail of Miss Gail and the Jumpin’ Jam Band, Baze and His Silly Friends, Groovy David, Jungle Gym Jam, and myself, Mista Cookie Jar. Pretty epic for a debut I’d have to say! Blast Off! celebrates a unique brand of freedom in songwriting from the sillier tracks such as “Moustaches” and “Vending Machines” (which is about the random stuff you’d find in a Japanese vending machine) to the touching, “From a Frown,” a sweet ode to a Teddy Bear. Raw and pure in the spirit of great indie D.I.Y. records, the dimensions of youthfulness, silliness, and wonder are all displayed clearly in the their musicality and Trevor’s careful lyrics. One is reminded of the playfulness and pop-rock sensibilities of Recess Monkey, The Aquabats, and even Weird Al Yankovic. The opportunity to pick the brain of Trevor himself made me feel like one super-curious kid talking to another as fans of the same musical scene and fans of each other. MCJ: So what’s your story, guys? Who are you, where are you from and when did you start making family/kids music? T: We’re two energetic 13-year-olds in Vancouver, Canada, making music for younger kids and their families! We just released our first album, Blast Off!, in October. I’m the front-leader of [The Zing Zangs], and I got into kids music when I started hosting an online kids radio station called GooberKidsRadio. The general concept for The Zing Zangs is indie pop/rock music that’s specifically made for kids to jump, sing, and dance around to. The key to it is the huge amount of imagination in each song! MCJ: How did you first hear about and get into Kindie? T: Sirius XM’s Kids Place Live (ch. 78) is what first got me into it. Elliot got into Kindie because he got dragged into it. MCJ: So tell me more about the concept of Blast Off!? T: Blast Off! released on October 2. It’s superhero themed, we go aboard the ZZ spaceship as “Commander Rock” and “Elliot the Ninja.” The key to the songs on this album is the actions. We recently played our first concert, and it was amazing to see how much energy pumps out of the kids! We’re proud to say the audience was covered in sweat! We strived to put all of that energy from a Zing Zangs’ concert into the album. MCJ: Do you have any evil villains to go with your superhero theme? T: I’ll tell you what – just for fun – at one of our upcoming concerts we plan on an evil monster to come and try and crash the show. Then we’ll have a rock-off. It will be so epic. MCJ: How did you get all these cool Kindie guests on it? Quite an impressive list. What was it like working with such talent? T: It was an honor to work with such great people in the industry and hear our songs with different voices singing them! I was helped by excellent people in the business – like managers, publicists, live show booking management, you name it. I dreamt up “Looking Up at the Stars” last year as a finale song for an album…and to hear all of my favorite Kindie artists that I grew up listening to, singing all together at once, it was truly amazing. MCJ: How do you guys know each other, in real life? And how did you start making songs? T: A lot of the songs like “Moustaches” and “Vending Machines” were songs from old homemade movies we made a few years back. We drew comics all the time at school, so we often wrote theme songs for “Pizza Man,” “Kraft Dinner Man,” and “Taco Man.” We’re currently planning out a music video for an unreleased song about [me and Elliot] meeting each other on the playground as 7-year-old kids. This is actually how the two of us met in real life, so I know it will be cool to be able to make [the video], because we’ll both be behind the camera. MCJ: It was so much fun making the track “Super Speed” with you guys. I love all the synths in the beat during my rap. And I’m happy to say I can’t get the song out of my head! The video looks great, too, especially since we haven’t met once! MCJ: Basically, I sent some green screen footage of myself rapping. We had me racing in a car as I did my thing. That’s me with a glass pot lid as a steering wheel! Tell us about the process from recording the song and video to working long distance with a Los Angeles artist. Also, what programs do you use? T: It was so cool to hear your track over our synth sounds and handmade drum beat! The process to make the song involved sending you (Mista Cookie Jar) some basic keywords and lyrics for the rap – and then you sent it back to us “funktified.” That’s a word that will always be used in my personal vocab from now on. T: “Super Speed” turned out just as we wanted it to be – a homemade-looking indie video of us chasing a cartoon monster around Elliot’s complex. Plus, as a bonus, we had you driving around in a cartoon race-car! The video made its premiere on The Cool Rockin’ Daddy Video Show. For the “Super Speed” video, I animated all of the graphics, titles, and characters with FCPX. MCJ: Who played what instruments? T: I played guitar, drums, keyboards, synthesizers, bass, and kazoo solos. We had occasional lead guitars by Jason Didner (of the Jungle Gym Band) and Todd McHatton. And Elliot jumped around to it. MCJ: What is your songwriting process as a band and individually? T: I usually come up with the idea for a song first. Then, I try to make up catchy lyrics. And then I write a chord progression that not only sounds good, but is kind of hard to play (that way I can show off when I play concerts)! Although, most of the songs on Blast Off! were written by me and Elliot when we first met. MCJ: Tell us about your radio show, GooberKidsRadio. How did you get into that business? T: I’ve always loved entertaining people and when I discovered Kids Place Live it made me want to host my own show…so I found a site that let me broadcast, and that was that. 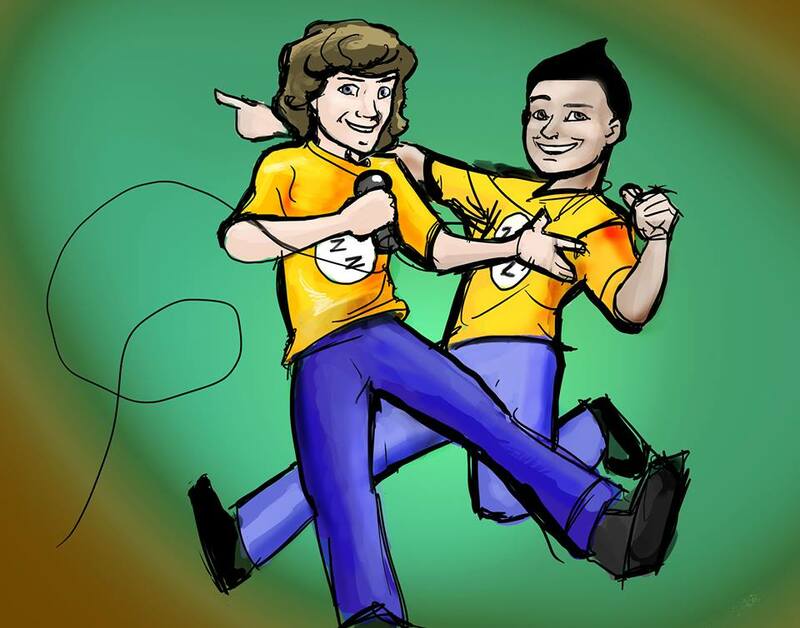 T: GooberKidsRadio was created in June 2012. I’ve always had a love for entertaining people, and I had a love for Kindie, so when I found a site that let me broadcast live, I immediately started. The show picked up quite a few listeners. I just reached 11,000, I think. MCJ: What are some of your favorite musicians, kids music or otherwise, and how has it influenced you as artists? T: I have always been into music that doesn’t put people down or anything like that – which is why I automatically liked [Kindie music]. I grew up with The Wiggles, and when I discovered the Imagination Movers, my mind flew out of my head and into the TV. I was taken to a lot of local kids music concerts in Vancouver, like Bobs and LoLo, The Kerplunks, Fred Penner, The Doodlebops. For Kindie influences, I’d say the first few artists that I discovered in the Kindie world were Recess Monkey, Caspar Babypants, Justin Roberts and, of course, The Pop Ups. When I take my mind off of kids stuff, Elliot and I are both really into the rock genre, although I’m more of a new alternative guy like The Black Keys, They Might Be Giants, and Presidents of the United States of America (“PUSA”). Elliot is into the classics like AC/DC and Def Leppard. T: The Aquabats actually inspired us to make our first album superhero- themed. We were both blown away by their true rock power and zaniness at the same time. That’s the definition of awesome! MCJ: What are your peers listening to these days? T: Oh goodness! I think like Rihanna, Lorde, and all the other computer-generated music is big these days. MCJ: I love how you’re into music that doesn’t put others down. And I think the Zing Zangs go in- line with that. You guys bring a sense of empowerment that is inviting for anyone who seeks it, which is a rare and beautiful thing in this day and age. MCJ: In your songs there’s something else beyond the music, often a simple or quirky subject matter, like “Vending Machines” about Japanese vending machines or even, “From a Frown,” about your Teddy Bear (which is quite a touching song), that is relatable to so many people — and then the music brings a certain excitement, drama, or magic to that subject. T: I totally agree. That’s what being zany is about. Not ‘trying to be’ zany. Just ‘being’ it. You get it? MCJ: Can you speak on being in touch with your “inner zany,” if u will? How does it affect your interactions with others, like friends, peers, fans, public or otherwise? I think zaniness just helps me remember how I don’t fit in – which is PERFECT. Why would I want to be just like the guy across from me in the hallway? MCJ: For me, being involved in a zany creative process with others, or even sharing a culture, like the Kindie, creates a bond. Having similar humor or appreciation for a certain kind of zany brings an automatic comfort with someone, without even having to “get to know” them, you feel me? MCJ: You guys bring a primal joy with your music. You can call it the Zing Zang, like a zany fun Yin and Yang. But with more of a Zing of course. How bout Yin Yang Funktified? T: I think that’s what our next album should be called. Yin/ Yang Funktified. What’s coming up next for The Zing Zangs? T: Stay tuned for Mr. Runklestunk (our puppet band manager)’s very own web-series. And also coming up this year (2014), we plan to release our second CD. We’re going for a much simpler approach this year. It will not be superhero-themed but don’t worry, the silliness is all there. Original songs by “Trevor and Elliot” (not Commander and Ninja), plus a bunch of amazing special guests. It will focus more on the kids’ perspective of life, like not wanting to go to bed, and making a best friend. You can stay on top of the news at our website thezingzangs.net. Also, please check out Blast Off! on iTunes, Amazon, and CD Baby. You ca also purchase the album from our store. Thanks, Cookie! MCJ: And here are some quickies. MCJ: Cosby is definitely one of my favorite’s too. Favorite Weird Al album? MCJ: Heard good things about that one! Just listened to his Marc Maron interview. Al Yankovic is the man. Favorite Recess Monkey album? T: Gosh. One of the older ones. Like “Field Trip”. MCJ: What are you listening to right now? T: The keys on my keyboard typing this answer. In reality, I’m listening to Zooglobble’s November playlist. Did you see that “Super Speed” got first track? Yes! MCJ: Any books or novels on your minds? T: Diary of a Wimpy kid. Jeff Kinney gets me. That and everything by Jarrett J Krosozcka. T: Shel Silverstein is inspiring. MCJ: Feel the same way. Favorite board game? T: MAD, Phineas and Ferb, pretty much all. MCJ: Do u like Adventure Time? T: Oh wait, AT is the Bomb! MCJ: What about Avatar the Last Airbender? T: Sorry, but there’s only one cartoon better than Adventure Time. You can’t pull me away from an episode of Regular Show. MCJ: Do you like sketch comedy? Monty Python? Or vaudeville stuff? T: Back around 2007 there was a small Canadian community access channel show – you know those types? The ones that probably took around $50 to create? There was this homemade sketch comedy show called “That’s So Weird” and it cracked me up. T: Always into the latest album that comes out by one of my favorite artists. T: There’s nothing better than rockin’ out to Queen’s “Bohemian Rhapsody” in your jammies. When the announcement of Pete Seeger’s passing was made, I was in the midst of preparing a review about Ella Jenkins‘ latest release with Smithsonian Folkways. As I read the obituaries of and tributes to Seeger, I thought more about the profound effects each of these artists have had on audiences of all ages. In light of my reflections, it occurred to me how many parallels there are between these two legends. To start, each has earned a Grammy Lifetime Achievement Award for their musical contributions. Along with this honor, they each have had a rich recording history with Smithsonian Folkways, releasing a legacy that will forever set an example for others within the music and educational fields. Not to mention the multigenerational and cultural impact their music has had on children and families throughout the world. Most importantly, what ties them together the most is that they have lived their lives with purpose and that purpose has been fueled by a sense of pride and joy, coupled with the belief that music is meant to be shared. On her 34th release with Smithsonian Folkways, Ella’s joyful spirit is captured once again. 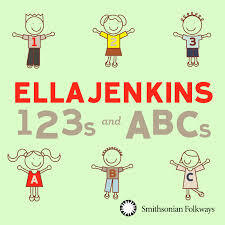 The songs on 123s and ABCs are simple and highly interactive, presented mostly in Ella’s signature call-and-response style and provide layers of benefits for young listeners. The album contains 16 wonderfully curated tracks aimed at teaching letters, counting and basic math (addition and subtraction). The secondary benefits seek to build language skills, strengthen memory, and develop rhythm through a variety of musical games. And, remaining loyal to Ella’s multicultural appreciation, 123s and ABCs presents songs in four languages – English, Spanish, Swahili, and Yiddish. The album opens with “Easy as ABC,” an alphabet game that encourages listeners to associate a word with a letter and then use that word in a sentence. As Ella sings, “C is for caring/ And I care a lot about you,” it’s hard not to feel comforted by her sincerity. It is this line that captures Ella’s authenticity and loving heart. 123s and ABCs is highly recommended for all ages and can be purchased through Amazon , iTunes and the Smithsonian Folkways Site. Bonus: Smithsonian Folkways is also offering a free download of the track “Easy as ABC.” Read more on Ella Jenkins on her Smithsonian Folkways Artist Spotlight page.